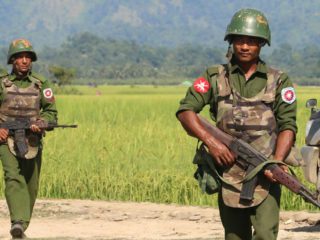 Myanmar's military announced Friday it would suspend "all military movements" in the troubled northern and eastern regions for four months, an unprecedented step observers say could coax ethnic rebel groups into the country's fractious peace process. 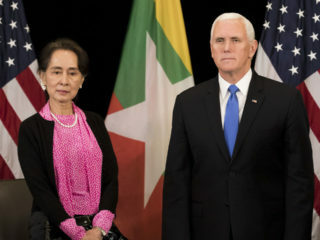 The violence which drove 700,000 Rohingya Muslims from Myanmar into Bangladesh was "without excuse", US Vice President Mike Pence told Aung San Suu Kyi in stinging comments on a summit sidelines on Wednesday. 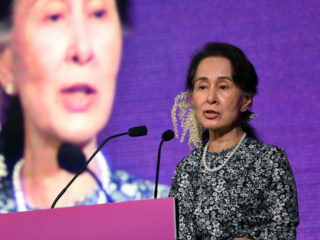 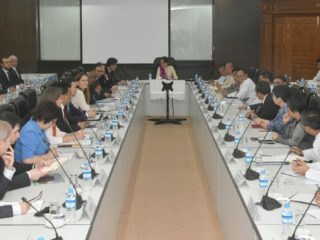 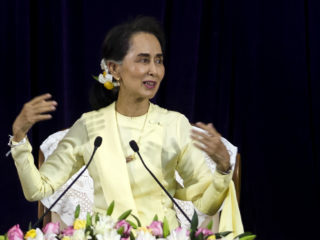 Myanmar's Aung San Suu Kyi on Monday implored foreign investors to take a punt on her country -- Southeast Asia's "final frontier" -- but warned its resources are not open for exploitation at the cost of its people. 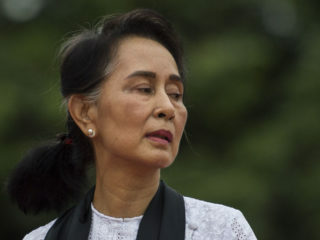 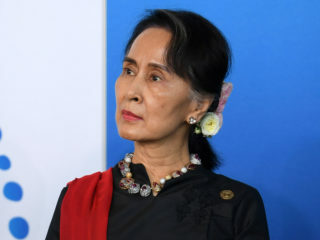 A global outcry over the jailing of two Reuters journalists has been met with silence from Myanmar's civilian leader Aung San Suu Kyi, a stony response that an official defended Tuesday as a reluctance to criticise the judiciary. 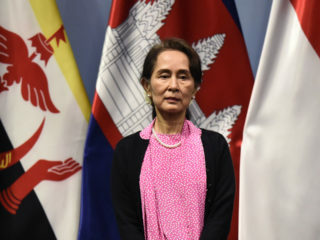 Myanmar's new president promised to amend the country's army-written constitution in an inaugural speech Friday, challenging a charter that bans Aung San Suu Kyi from top office and gives the military major powers.